Welcome to Dubai Holidays. Offering high end premium luxury holidays in Dubai. Dubai Holidays offers a huge range of product and services for Dubai Holidays, whether you are looking for a city break in Dubai, or a few nights stopover in Dubai or a actual family holiday in Dubai we cater for all our customer requirements. Why should you book with DubaiHolidays.co ? We have great deals with Dubai Hotels offering fantastic room rates and flight prices for Dubai and the Middle east and most of time we offer free room upgrades on certain hotels during special seasons in Dubai. Dubai is one of the few cities in the world that has undergone such a rapid transformation – from a humble beginning as a pearl-diving centre – to one of the fastest growing cities on earth. 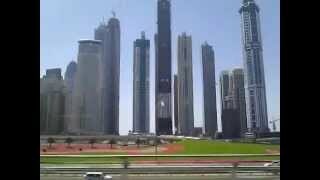 Emirates Towers , the Burj Khalifa ,Palm Jumeirah, Dubai Marina and Dubai Waterfront.